We commit to supporting student success by developing a vibrant campus culture that values inclusion, wellness, achievement, and involvement. 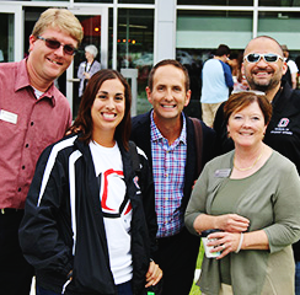 We believe leadership is rooted in process and not positions, and that making our staff’s experience a primary investment is the first and most important step in growing a culture that both supports and advances student success. "Leadership is not about being in charge. Leadership is about taking care of those in your charge." The 2016-2017 Division of Student Affairs and Enrollment Management Strategic Impact Summary has been organized in a way that responds to the student experience from Enrollment through to Student Life. CONNECT. TAKE CARE. GET HELP. 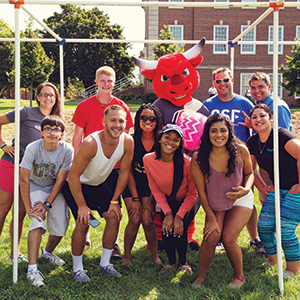 UNO has cracked the code to being successful in college, and with so many caring and supportive faculty, staff, and other students committed to your success, there are only three simple things you need to do: Connect. Take Care. Get Help.